Contact Company : Tech Mahindra Ltd.
> Support the monthly/Yearly releases through testing & document the observation and track it for a closure by coordinating with multiple Development teams. 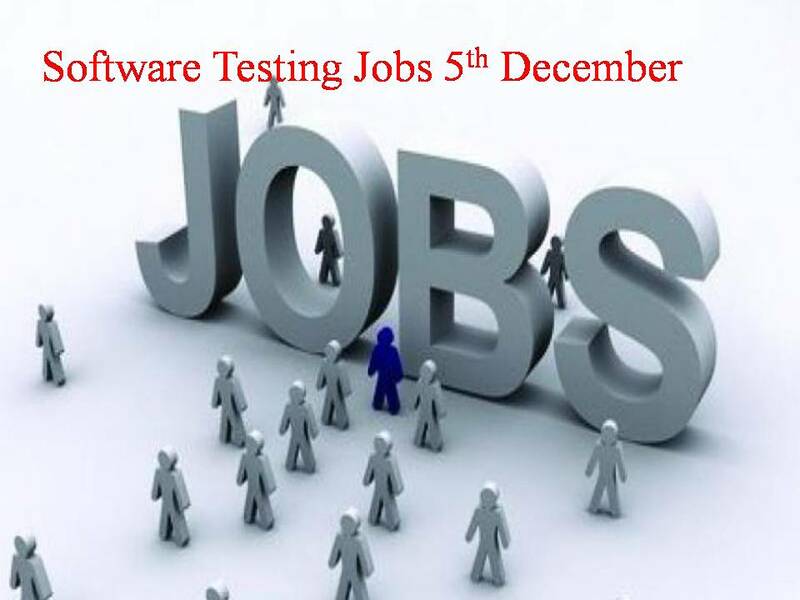 > Ideal candidate should have atleast 3-6 years of experience in Software Testing. > Should have a combined experience in both manual and automation testing. > Must possess strong technical ability in writing test cases and test scenarios. > Solid experience in writing Selenium scripts for automation tools with basic knowledge in Java. > Candidates possessing prior experience in product testing is an added advantage but not mandatory. > Work with Product Manager to understand the features inside out and create test cases for each rollout. > Develop Test plan and test strategy meeting functional requirements, user stories and user acceptance criteria. > Execute the test plan and work with Engineering to iron out the issues. > Hands-on testing – manual test case design and execution. > Ensure that the product release would meet the expectations of the customers. > Experience in testing Mobile Application and good knowledge on API scripting. > Mandatory hands on experience in Test Automation using Selenium. > Mandatory hands on experience in API automation, Web Services, REST API testing. Company Name : Vyom Labs Pvt. Ltd.
> Overall 4-8yrs of total IT experience in Testing for Senior QA role. > Experience of 3+years on Manual testing with over 2 years of experience on Automation testing or at least one project done on Automation testing. > Experience of working on E-Commerce platform along with Web and mobile testing experience. > Overall 4-5 years of testing experience, but can be relaxed for the candidates having good experience in automation. > A QA position at Envestnet Yodlee is a very unique and challenging role and provides immense opportunity to design and develop wide-reaching tools. > It combines the “building” aspect of software design engineering with the “breaking” aspect of software test engineering. > QAs at Envestnet Yodlee are able to understand software internals, debug code, automate repetitive tasks, Give data Insights, test the complicated analytics solutions and implement new tools and frameworks needed to streamline our quality process. > Our QAs work directly with both Software Development Engineers and Product Owners to understand project features, review technical designs, and implement automated test tools that help deliver quality features with efficiency. As part of the global team, work with our TPMs, and Server & Component vendors to understand the new Platforms and Components that need to be launched, and business needs driving these. > Participate in developing platform qualification plans, execute and automate these tests. > Develop and enhance internal framework and tools required for qualification and automation. >Develop and enhance our imaging software, diagnostics software and plugins to adapt to the new HW, Firmware & Drivers. > Strong presentation and client facing skills. > Previous development background is added advantage. > Experience with Selenium POM and Cucumber BDD frameworks. > Experience of standard build tools: ANT and Maven. > Must have done Automation projects in selenium web driver. > Strong Core Java Knowledge. > Must have an experience and knowledge of testing concepts. > Candidate having experience in creating an automation framework would be preferred. > Should have excellent communication skills. > Test strategy preparation and finalization. > Developing test strategy for end-to-end qualification of Software-as-a-Service offering in a public-private hybrid cloud environment. > Simulating and testing large scale customer scenarios. > Developing automated tests, necessary tools and libraries, for release qualification. > Finding bugs. Helping RCA and tracking them to closure. > Self-driven and Individual Contributor. > Good in performance analysis and monitoring (rating 3/5). > They should be able to identify the issue and come up with a solution. > Experience in any of the performance testing tools like LoadRunner or Rational Performance Tester, with a rating of 4/5 on the particular tool (expert level).